Are Some Tea Drinkers Loose Tea Snobs? Are some tea drinkers loose tea snobs? To find out, we created this test using Kusmi Tea. Can you tell the difference between the tea leaves used in a tea bag versus those used in loose tea? Take a look at the below picture. One of the sides is loose tea from a 4.4 ounce tin of Kusmi loose tea. For the other side, we cut open a Kusmi tea bag and poured out the tea leaves. Can you tell the difference? Take a look at the tea leaves. 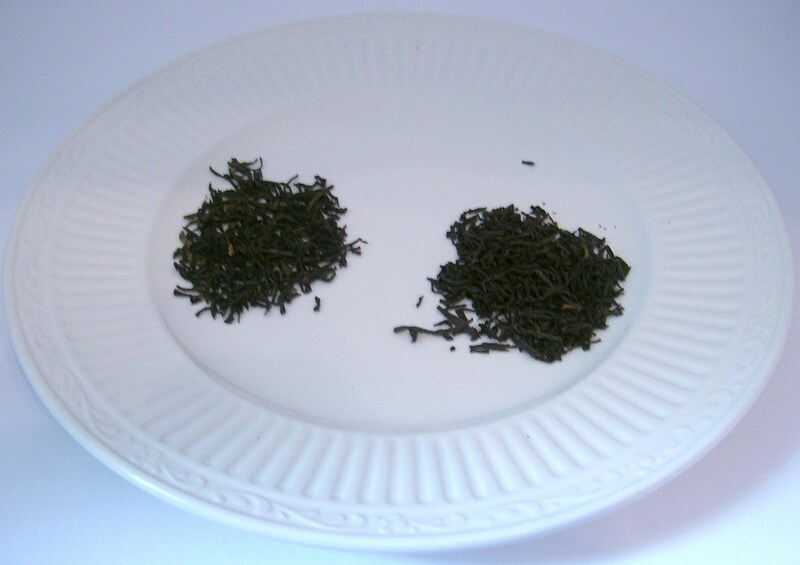 Many loose tea drinkers say that tea leaves in tea bags are very poor quality. As you can tell by this picture, that is not the case with Kusmi Tea. Although this may not be the case with every tea company, it is with high quality tea companies like Kusmi. If you wan to know the truth, leave a comment with your answer and we will tell you if you are correct.